YANNI is set to return to Dubai with double impact. YANNI is a legendary composer and live performer who has brought hundreds of millions of fans and fellow world citizens together via his concerts is all set to return to Dubai. 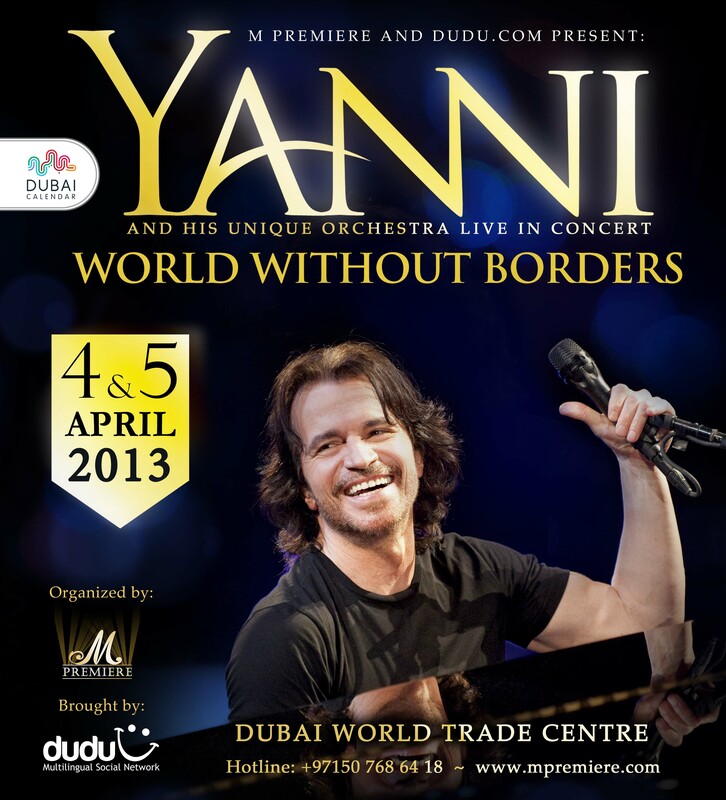 YANNI with his full Orchestra will perform live in Dubai World Trade Centre as part of his World Tour 2013. I love the guy & his music n i really want to attend but I dunno if i can or not, too soon to decide! I soooooo wanna gooo ! !